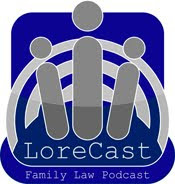 Innovative new legal service to reduce the stress of divorce. Each year in the UK, thousands of divorcing couples become caught up in costly and protracted legal disputes over separating their finances. For couples already at breaking point due to the collapse of their marriage, the stress and uncertainty over mounting legal bills is a real headache. An innovative new service is being launched today, offering access to expert family lawyers who will help people to negotiate a financial settlement on divorce, for a transparent fixed price. The new service is being launched by Wikivorce, the UK's national divorce support organisation, in collaboration with leading family law firms: Brethertons LLP and The National Family Law Practice. Ian Rispin, the Managing Director of Wikivorce, explained "A common concern I hear when talking to some of our 55,000 members, is that they are very worried about large legal bills, and are particularly concerned that they have no control over the way these costs escalate month by month. 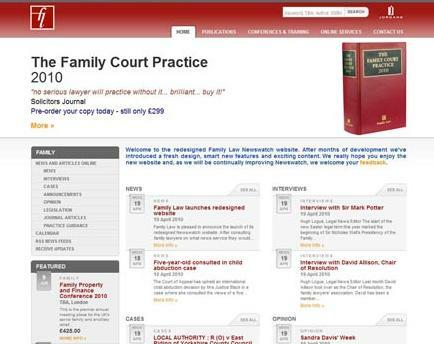 Traditional law firms have been very reluctant to move away from hourly billing, but fortunately, in Brethertons and The National Family Law Practice, we have found two very enlightened firms, who have worked closely with us to develop this innovative range of customer friendly, fixed price legal services." Linda Jones, Head Of Family Law at Brethertons, agrees "In today's economic climate, divorcing clients tell us they want cost-certainty and fee transparency. With our service FAR £egal (Fixed Ancillary Relief) we have broken the ancillary relief process down into four easy to understand steps and provided clear, transparent pricing. This means that our clients will know in advance exactly what the service delivers and how much it will cost." Rachel Edwards Barrott, Principal Solicitor at TNFLP added, "We have been working successfully with Wikivorce for over two years, providing low cost divorces for many of their members. We are excited about extending the range of affordable services to include Ancillary Relief at a fixed price, which will provide clients with a professional legal service and peace of mind about the costs." Lord Justice Wall (left), the new President of the Family Division, today adjourned an application by a father for permission to appeal against contact and s.91(14) orders to a full court, despite clearly being minded to refuse permission himself. The reason for this was that: "The father is amongst many who feel let down by the system, and if his application is not to overcome the permission hurdle that is, I think, a decision which should be taken by the full court." This week Natasha and I discuss the judgment in the Sharon Shoesmith case and the latest in the Young divorce saga. In the usual light-hearted finish, I detail a cunning scheme for divorce lawyers to drum up new business. The Americans seem full of ideas about how child support may be recovered. The latest, coming from a mother of triplets who has spent eleven years battling to get child support from their father, is to make a television programme aimed at 'deadbeat' parents. The programme Most Wanted Deadbeat Parents "will be presented in a 1-hour television format in which four (4) of the most serious deadbeat offenders are profiled on-camera using photo’s, court records, interviews with acquaintances and victims and information obtained through public records in an attempt to narrow the geographic area in which the offender was last known to frequent and then bring in local law enforcement agencies. When possible, a MWDBP camera crew will be on-site when “deadbeats” located due to “tips” from television program viewers are apprehended by local law enforcement agencies". According to this report, the programme is not looking to target parents who genuinely cannot afford to pay child support, but rather those who can afford it but choose not to pay. The idea behind the programme seems to be twofold. Firstly, "through the help of the general viewing public, locate serious “deadbeat” offenders and through local law enforcement agencies, bring them before the courts where they can". 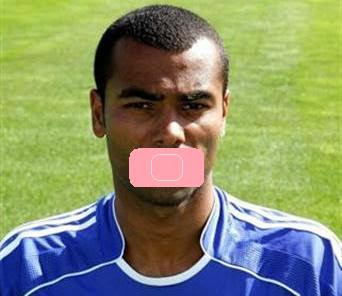 Secondly, to encourage 'deadbeats' to pay up, rather than face being shamed on television. I'm sure that there may be some on this side of the Atlantic who would be horrified by this idea, but is it really any different from those TV programmes we watch that 'expose' other types of wrongdoing? As I think I've made clear previously, I don't give a damn about Cheryl and Ashley Cole. As far as I'm concerned, they are both over-paid and under-talented. I would not therefore mention them here again, but for the fact that there does appear to be a point of legal interest in this report in the Sunday Mirror today (yes, you read that correctly - a Mirror newspaper with a point of legal interest in it - in fact, the article is actually quite informative). A point that I find amusing about the letter to Cashley, and something upon which the Mirror comments, is that it gives Cashley just seven days to reply. I came across this sort of nonsense many times in my career - such a short time for the other party to receive such a letter, take proper legal advice upon it and respond to it is, of course, quite ridiculous - but at least it impresses your client. 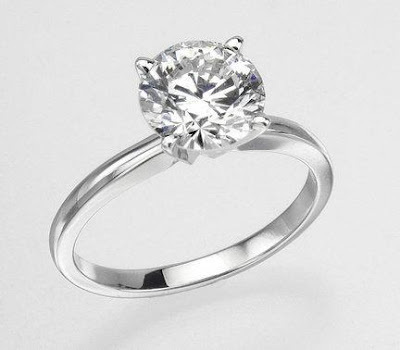 It is reported that a man in New York is taking his former fiancée to court for the return of a $17,500 diamond engagement ring that he gave to her. According to court papers, in may last year Christopher Reinhold proposed to Colette DiPierro, she said yes, and accepted the ring. However, in September she broke off the engagement. Reinhold repeatedly requested the return of the ring, but she refused. He is now taking her to court, and according to one legal expert, he has a good case. Over here, Parliament in its wisdom has actually legislated about engagement rings. The Law Reform (Miscellaneous Provisions) Act 1970 is one of those things that is taught to all family law students but actually used by virtually none of them throughout their careers. Under section 3(2) we are told that: "The gift of an engagement ring shall be presumed to be an absolute gift; this presumption may be rebutted by proving that the ring was given on the condition, express or implied, that it should be returned if the marriage did not take place for any reason." Thus, the onus is upon the giver of the ring to prove that the gift of the ring is conditional upon the marriage actually taking place, although I can't imagine many romantic souls saying: "Here's an engagement ring, but I want it back if you don't marry me". Note that s.3(2) refers to the marriage not taking place for any reason, thus it would not matter if it was the giver of the ring who called off the engagement. It's good to see that American politicians are as clueless about divorce as their British counterparts. In Minnesota, Senator Steve Dille is proposing a "Couples on the Brink" Bill, which will 'provide an "off ramp" on the superhighway to divorce'. The idea is that the Bill will 'use an additional $5 tax on marriage licenses to develop a way to identify couples who might want to reconcile -- and improve the quality of marriage counseling they'd receive'. The problem here is that there will surely be very few takers. 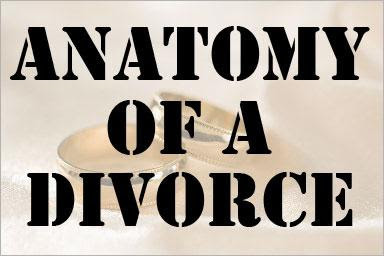 My experience is that the number of people who have issued divorce proceedings that are prepared to even consider reconciliation is extremely small. Contrary to the belief of (it seems) most politicians, most people do not issue divorce proceedings lightly - they only do so when they are certain that their marriage has broken down irretrievably. As the Chairwoman of the Minnesota State Bar association's family law section points out, there are far more useful ways of spending this money, such as 'domestic violence prevention programs and programs that assist parents in successfully parenting their children as a separated couple'. So no, Gordon Brown/David Cameron/Nick Clegg, this is not a good idea. “Please – take a seat,” the solicitor ushered Liz Jones and her mother to the two vacant chairs door-side of her desk. “Now, how can I help you?” She asked, with a faint smile. 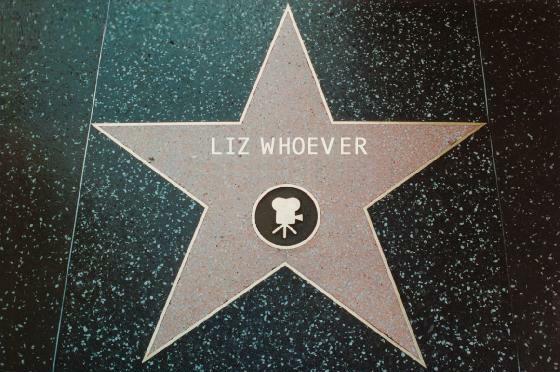 Liz hesitated. “I er... want a divorce.” She replied, weakly. “Where to begin?” Liz asked. “At the beginning?” The solicitor offered. “Why do you think your marriage has broken down?” She continued, rather more helpfully. “Her husband’s seeing another woman.” Interjected Liz’s mother Julia. “But has he actually gone out with her?” The solicitor tried to direct the question at Liz, but it was her mother who responded. “Have you spoken to him about this?” The question was once more directed at Liz. There was a moment of silence. The solicitor could see that Liz was trying to hold back tears. She gave her client time to compose herself. At that point, the tears began to flow. The solicitor offered her a tissue from a box on her desk. The solicitor began taking notes. The details she wrote down could have been from any one of a thousand divorces she had dealt with in her long career: married ten years, two children, jointly-owned house, mortgage, husband runs his own business, wife works part-time, marriage been breaking down for a while, husband now seeing another woman... apparently. “Will I lose the house?” Liz asked, anxiously. “No, I don’t think it will come to that.” The solicitor reassured her. The solicitor did not reply. It sounds like an April Fool, but this story in The Lawyer clearly bears today's date. Solicitor Andrew Grove is apparently suing his own firm Andrew Grove & Company for negligence and damages in connection with advice he received ­concerning his divorce. London – 13 April 2010. www.justdivorce.co.uk has launched a sophisticated end-to-end, ‘Litigant in Person’, online divorce service for consumers who wish to manage their own uncontested divorces. However, unlike many other online services, justdivorce.co.uk is operated by a firm of solicitors under the supervision of the Solicitors’ Regulation Authority (the SRA). The new website provides a fully regulated, fixed price service which is clearly more sophisticated than a large number of the paralegal services that promote packaged divorce deals. 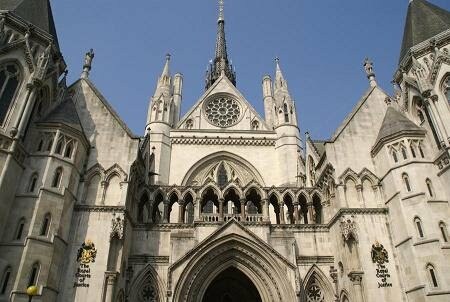 Justdivorce.co.uk takes a two pronged approach. It provides consumers with the background information they need to decide if an uncontested online divorce is right for their circumstances and explains the legal processes and paperwork required to obtain a divorce. It also leads the client through an easy-to-follow series of questions, the answers to which populate court forms and letters with all the appropriate information. These documents can be checked by the client, approved for submission by the solicitors’ caseworker, and downloaded anywhere in the world via the Internet before mailing to the appropriate court. Emails are sent to clients explaining exactly what documents are required at each stage of the process and what court fees will need to be paid at that time. Justdivorce.co.uk also offers complementary services such as financial clean break orders, divorce decree searches, and marriage certificate translations. The new online service has been developed by Bryan Reed, an experienced Consultant solicitor at family law firm Josiah-Lake Gardiner LLP, who is a member of the Family Law Panel and the Resolution group of family lawyers. He explains that: “The first place that everyone turns to for information today is the Internet, so it makes absolute sense that certain legal services can be provided via the Internet too. “We are confident that as one of only a handful of e-legal providers that are genuinely online, from the beginning of the process through to Decree Absolute, we will be able to remove the stress, worry and delay that can occur when someone takes the decision to manage their own divorce. 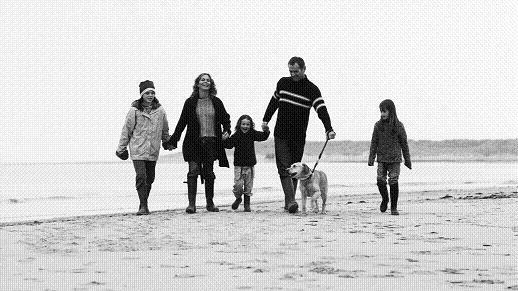 “We believe that we are giving our clients peace of mind when they need it most, filling a gap between ‘traditional solicitors’ handling divorce cases on an hourly rate and paralegals providing services unregulated by the SRA and promoted by an online brochure site. “The legal profession should embrace the opportunity presented by advances in technology to offer a new kind of commoditised, yet entirely secure, legal service. Enabling clients to manage their own simple undefended divorces online does not mean that advice will not be sought in more complex cases, nor that referrals will decrease. What it does mean is that consumers have a choice about how they access legal services and interact with the court system,” said Reed. Couples scream with anguish at each other while the kids plead for them to stop, then sob themselves uncontrollably to sleep in bewilderment at how their love has turned to such animosity, until they conclude that the situation is irretrievable and in desperation one of them goes to live on a mate's settee while they draw up arrangements for access to the children, and all the while they're thinking, "The one thing that would have kept us together, is £2.87 per week tax relief, subject to alterations in the basic allowance." He continues in a similar vein, and his mockery extends to the Labour party, who he says have done so much to create this culture of 'gimmicks' in the first place. Definitely worth a read, especially if you are standing as a candidate in the forthcoming election. I've blogged previously about the American idea of casinos deducting any child support arrears from the winnings of their patrons. Well, now Missouri may ban 'deadbeat' parents who have a conviction for owing child support from even entering casinos in the state. Quite how such a law would work, I'm not sure. 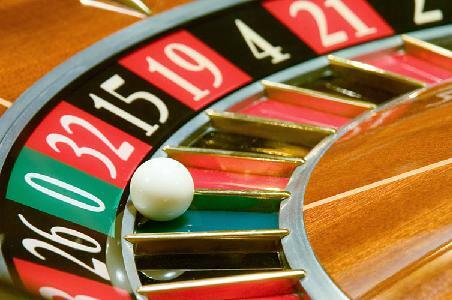 Would casinos have to do a police check on every patron before letting them in? Or would it just be that any convicted child support debtor found in a casino commits an offence? I quite liked the idea of deducting arrears from winnings - at least that benefits the children. However, restricting the debtor's liberties in this way is unlikely to encourage them to cough up the money they owe. Still, I suppose the same could be said for disqualifying non-payers from driving over here, although driving is a rather more valuable liberty than the right to gamble. 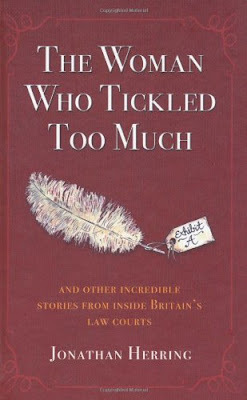 The first story concerns the criticisms of social workers in the recent EH v London Borough of Greenwich & Ors case (in which Lord Justice Wall said that social workers "are perceived by many as the arrogant and enthusiastic removers of children from their parents into an unsatisfactory care system"), and in a case involving Devon County Council, in which Lord Justice Aikens described the actions of social workers in Devon as “more like Stalin’s Russia or Mao’s China than the West of England”. The author of this story, Rosemary Bennett, then gives a brief commentary in which she suggests that we may have gone too far in suspecting child abuse, quoting fellow campaigner John Hemming MP who says that only 0.27 per cent of care applications are refused outright. Bennett suggests that the comments in the Greenwich and Devon cases may serve as a warning not just to social workers, but also to family court judges, who appear too ready to follow the views of social workers. The article concludes with the self-congratulatory: "Opening up the family courts, which followed a campaign by this newspaper, could help as their judgments are more open to scrutiny", and a warning that "further reforms may be needed". Marilyn Stowe wrote an excellent post yesterday on professional ethics, which I recommend, particularly to new or budding family lawyers. I especially agreed with her advice that lawyers should keep their clients 'at arms length' - not socialising with them, and not seeking their friendship. This is a trap that it is all too easy for family lawyers to fall into, as they sympathise with their client's predicament, but it is a great mistake which can seriously cloud the lawyer's judgement. Whilst obviously caring for their client, the lawyer must remain independent at all times, as Marilyn points out. 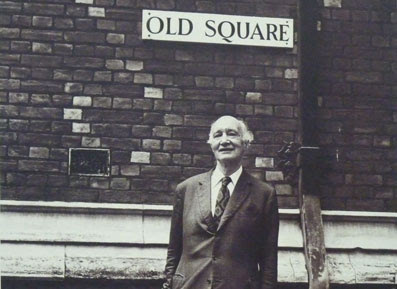 In the course of the post, Marilyn quoted Lord Denning, who signed her admission certificate. It was always a regret of mine that I qualified just too late to have Lord Denning sign my certificate - Donaldson doesn't quite have the same cachet as Denning. However, I do now have the great man's autograph, as a very good friend recently gave me a photograph of him (above), bearing his signature. We offer reasonable fees and we accept all major credit cards. Please call our office for a FREE consultation. WEEKEND & EVENING Appointments are available! Now, would you instruct a firm that is happy to bum free advertising on the back of someone else's efforts? No, nor would I. I would also not instruct a lawyer who would offend my intelligence by thinking that I would publish a comment like this. In fact, the comment is so blatant in making no attempt whatsoever to hide its purpose that I actually laughed when I read it. 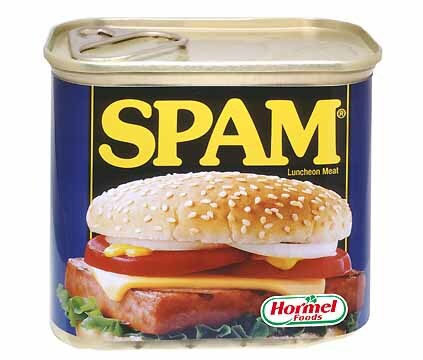 Would you instruct Messrs. Crapola & Co., laughing stock of Smalltown USA? OK, I realise that the comment was probably written by some cruddy internet advertising agency instructed by Crapola & Co., rather than by Crapola & Co. themselves, but what does that say about the judgement of Crapola & Co.? Strange how things happen. Only this morning I was reading a report from America about an 81-year-old woman who is suing her ex-husband for child support that he was supposed to start paying sixty years ago. That got me idly thinking about the possible application of the Limitation Act to child support. A few hours later I came across the report of CMEC v Mitchell on Bailii. The case involves the ever-ingenious David Burrows, who sought to claim that the Act applied to applications by CMEC under s.39A Child Support Act 1991 for the issue of a warrant committing the liable person to prison or for an order for him to be disqualified from holding or obtaining a driving licence. Mr Burrows represented David Mitchell, who owed child support arrears of £14,592.07, having only ever paid the princely sum of £9, and having at one point made himself bankrupt with the express purpose of avoiding payment of child support. Needless to say, CMEC (and its predecessor, the Child Support Agency) obtained a liability order (on 24th January 2002) and thereafter made numerous attempts to enforce payment against Mr Mitchell, but without success. They therefore made an application under s.39A. The Magistrates' Court rejected the argument that that the application should be struck out on the basis that it was barred by the Limitation Act 1980 (having been made more than six years after the making of the liability order), and disqualified Mr Mitchell from driving for 12 months, suspended on the basis that he pay £5 per week in child maintenance arrears. Mr Mitchell appealed to the County Court, where his limitation argument was accepted. CMEC then appealed against the County Court order, contending that as a matter of law the Limitation Act 1980 does not apply to an application pursuant to s.39A of the Child Support Act 1991. The Court of Appeal allowed the appeal. Lord Justice Thorpe agreed with CMEC's submission that the section 39A procedure fell without the express wording of section 9 of the Limitation Act, namely "an action to recover any sum recoverable by virtue of any enactment". "That is because neither of the two possible orders that can be obtained under section 39A will result directly in the recovery of the sums due by way of child maintenance", he said, even though s.39A may "pressurise the parent who is wilfully refusing or culpably neglecting either to meet his financial obligations or to suffer a distasteful alternative". A decision that may smack a little of semantics, but nevertheless surely ends up with the correct result. First spouses should be favoured over subsequent spouses, as "the first wife is the woman to whom the husband first made a lifelong commitment". "The whole concept of a no-fault divorce is, in most cases, ... a weaselly concession to our unwillingness to attribute blame to anyone, for anything." With there still being dinosaurs around who think like this, it is no wonder that our divorce law is taking so long to evolve into something fit for the 21st-century. I have now watched the first episode of the new BBC series Who Needs Fathers? Entitled For the Sake of the Kids, the programme follows two couples as they try to resolve arrangements for their children following separation, in contrasting ways. Alex and Juliet have been to court many times, whereas Chris and Angela are determined to manage their separation without going to court. Alex tells us that since his relationship broke down in 2005 he has spent tens of thousands of pounds in legal expenses and at the end of the programme he shows us 13 out of 15 large lever-arch files with the resulting paperwork, although he laments that "my position after all that is no different". This is confirmed by Juliet, who says that Alex has taken her to court every 2 to 3 months for the last 3 years, but "he's still not won anything". She suggests that the court should make an order requiring each party to "just get on with your life". The most dramatic events in Alex and Juliet's story occur when Alex tries to take his four sons on holiday. He has a contact order stating that he can take them on holiday for a week "or thereabouts", but his plans involve him having them for nine days. Unsurprisingly, Juliet refuses, complaining also that Alex doesn't tell her where he intends to take the children. The wise counsel of a family friend, a retired family court magistrate, persuades Alex to reduce the time he wants the boys to one week, but to no avail: Juliet refuses. Alex contacts the police. They do eventually speak to Juliet, but can't force her to agree, and tell Alex it is a matter for the court. Alex goes back to Juliet the next morning (tellingly she can't recall this), but she still refuses. At this point, Alex almost gives up, but instead he makes an urgent application to the court, goes before the judge immediately, obtains the order he sought and went on holiday. "It worked", he said. The story with Chris and Angela is very different. They have agreed to divide the children's time more or less equally between them. Angela tells us that she had a West Indian upbringing, where family is "incredibly important", but she admits that many mothers behave badly (although they will be answerable to the children when then get older). However, things are not all sweetness and light even with Chris and Angela. Angela is most unhappy when Chris ignores her request to have the children contact her when he takes them on holiday. She says that they were "building up civility for nothing" and that Chris was "trying to sabotage it all". However, the real stresses upon their relationship stem from financial worries, in particular the cost of running two separate households. Chris wants to move to a house he owns in east London, near to his family, but that would mean that the children spend much less time with him. He suggests to Angela that she also moves to east London, but she doesn't want to disrupt the children, particularly by making them move schools. She says that "their world is quite solid and we want to keep it that way". Impressively, at one point we see Chris and Angela trying to resolve their problems in a round-table discussion. They appear quite civil towards one another, although the meeting breaks up after they agree that they are just "going round in circles". I think this programme was reasonably worthwhile, particularly contrasting the different approaches of the two sets of parents, although the story of Alex and Juliet will read like a well-thumbed book to any experienced family lawyer (incidentally, we are told at the end that after another 13 months in court, Alex and Juliet reached an agreement, whereby the children spend more than one-third of their time with their father). Unexpectedly, there is no indication that Alex blamed his frustrations on the system, putting the blame fairly and squarely on Juliet's shoulders; indeed, at one point he exclaims that the system works. Chris, on the other hand, could not see that he would have achieved anything more through the courts, and I'm sure he was right. 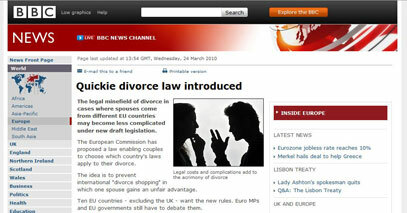 As reported exclusively by the BBC (see above), the Government has today introduced quickie divorces. No longer will it be necessary to wait months for a divorce to come through - all that will be required is a simple trip to a solicitor, who will be able to take the required details, print off and hand the decree absolute to their client there and then. A spokesperson for Resolution said that the new simplified procedure will be a boon to all divorcing couples: "This new procedure will greatly reduce the delay and stress involved in divorce, not just for the parties involved, but also for their solicitors", she said. However, the new procedure is not being welcomed in all quarters. A spokesman for the Conservative Party said: "This new procedure is a disgrace. It will undermine marriage and make Britain even more broken".